If you have searched for “painting contractor SEO” in Google and landed this page, it means we are excellent in ranking websites! We can do it with your painting company too. In the UK, painters and decorators are highly searched terms, just imagine if we boost your website’s visibility and attract more clients, how much profit will be realised! 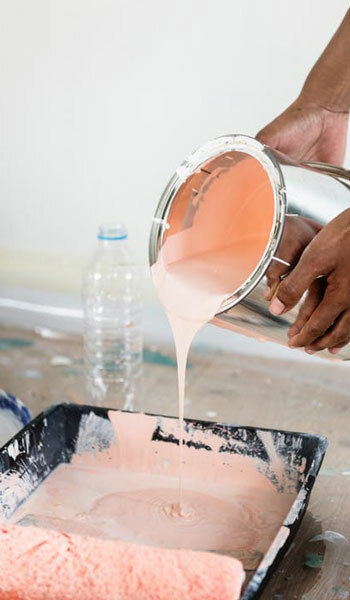 Because house painting is a high profitable business, the market is quite competitive, and there is a big demand for painting contractors all over the UK, especially in London according to the construction market statistics. If your website is not showing up high enough in the search result pages, you are giving away your possible clients to other contractors. It’s just not enough to have a professional website, you need visitors from organic search results, Pay-Per-Click marketing or social media that you can convert later to clients. When someone needs to paint his/her house and searches in Google for “exterior house painters” and your website is not appearing in the top results, you’re losing potential clients to other painter companies. If you want more clients, good ranking is a must. We are ready to make your website’s way to Google’s top search results. Let us work on your website! With smart approach and up-to-date techniques, ChelseaSEO can give your company the needed exposure by dominating the organic listings in Google, Bing and Yahoo. Higher rankings for painting and decorating related keywords will bring you more clients. It doesn’t matter if you are working in London, Glasgow or Manchester, we can help you achieve your goals! If you are considering the long term results, SEO is a better and a cost-effective option than Pay-Per-Click advertising, however it needs more time for the best results. As house painting is a very crowded market with thousands of competitive providers all over the UK, target keywords are expensive without promising conversions. If you choose PPC, you get visitors until you pay the campaign, meanwhile if you had your website optimised with our London SEO team, and by the time it appears in the top results, you will realise that it doesn’t cost as much as PPC marketing. The rankings of your website will stay in position, and won’t disappear overnight. You will benefit the steady, organic traffic every day, and you don’t need to pay anything for the clicks. For example, if you want to advertise your services for the keyword “commercial painters and decorators“, according to Google’s Keyword Planner, today one click costs minimum £1.57 , “hire a painter” for £1.48, another one is “interior painting contractors” for £1.27, these are the cost for only one click! If you are a new contractor, we establish your internet presence with a domain name, a website and with our smart web hosting, you will be in the best hands. If you already have a website, we make an in-depth site audit, includes current rankings, duplicate content, technical errors, internal & external link profile, broken links analysis, etc. We spend time to get to know your business and your competitors. Every business is unique with different goals and solutions. We are planning the best approach to target your main audience. At first, we research local and related keywords for faster rankings. We build long lasting strategy to achieve organic search ranking and to dominate Google’s top search results. We apply the best known techniques and optimise your website for maximum success. This point involves content creation, organic link-building, blog and magazine outreach, local citations, Google My Business and BingPlaces optimisation, social signals, and more. You are able to view the entire progress, as we are sending details and reports about your search engine rankings monthly. As Search Engine Optimisation is not a one-time activity, we regularly update and improve your website’s content with articles or blog posts, additionally we maintain and improve your external back-link structure and your social media accounts. When you see your website is climbing up on the 1st pages of Google within just a few months, and your company’s revenue increases from a steady stream of new clients, you’ll be realising the benefits of trusting in our SEO packages. Our construction SEO experts stay up-to-date with the current industry news, ensuring that our company is always adjust it’s strategies in this ever-changing world. It’s not a dream nowadays to get top rankings on Google. Let us help you grow your local business to the next level! ChelseaSEO offers reliable and proven methods for your success. Explore our best SEO Packages or feel free to contact us if you need more details!